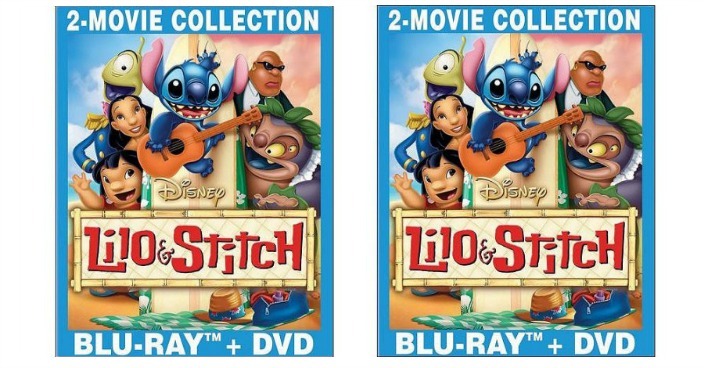 Lilo & Stitch / Lilo & Stitch 2: Stitch Has A Glitch Blu-ray + DVD Just $8.86! Down From $15! You are here: Home / Great Deals / Lilo & Stitch / Lilo & Stitch 2: Stitch Has A Glitch Blu-ray + DVD Just $8.86! Down From $15! Right now you can get this Lilo & Stitch / Lilo & Stitch 2: Stitch Has A Glitch Blu-ray + DVD for just $8.86 (Reg. $15) at Walmart! Enjoy two heartwarming and hilarious comedies about bringing friends and family together even when they seem worlds apart. Presented for the first time on Blu-ray(TM) with perfect picture and sound, “Lilo & Stitch” and “Lilo & Stitch 2: Stitch Has A Glitch” are hours of fantastic fun in one incredible collection! Lilo is a lonely little girl, and Stitch is a mischievous little creature from outer space. When Stitch crash-lands in Hawaii, Lilo adopts him as her pet, but he soon turns her world upside-down. The laughter continues as Stitch helps Lilo prepare for the big island hula contest in the hysterical sequel. Discover that ‘ohana means family, and celebrate the unbreakable bonds of friendship like never before with these two unforgettable movies on Disney Blu-ray.